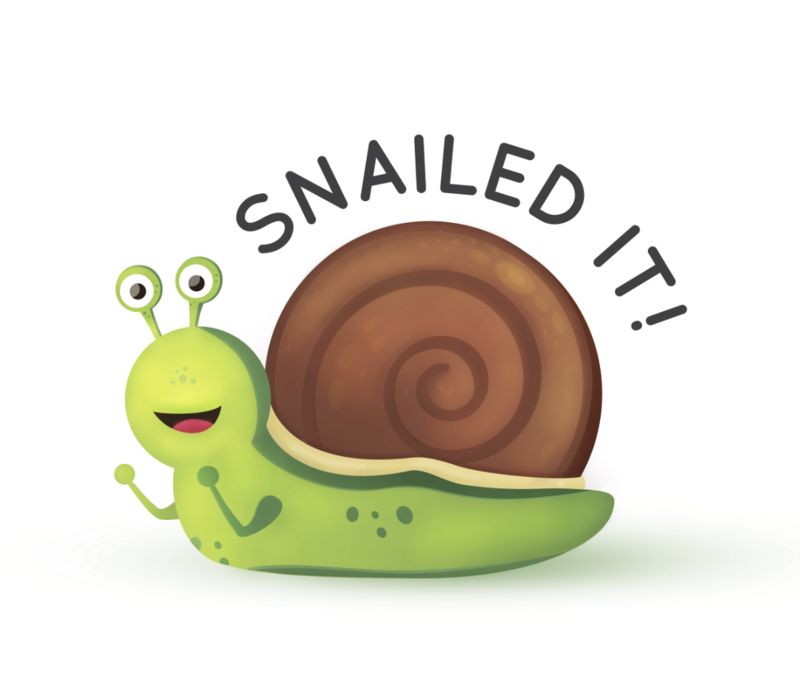 Because, who doesn’t love a good pun and a cute snail?! This piece is one of my most popular designs to date with my highest amount of sales coming from my shop on Zazzle. This was created in April of 2017 for a client’s wedding. 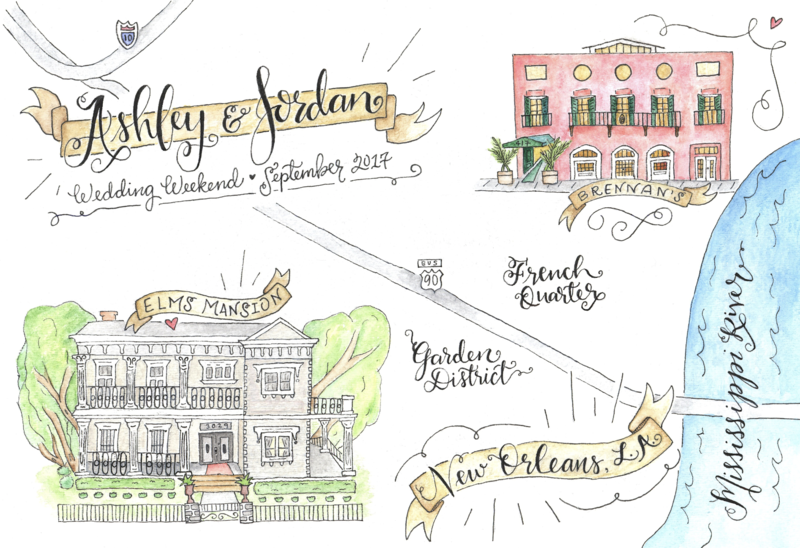 The map served as a save the date invitation as well as a magnet for your fridge. This piece is one of my favorite endeavors yet and I look forward to more of these types of projects. Materials used: Watercolor Paints & Micron Ink. 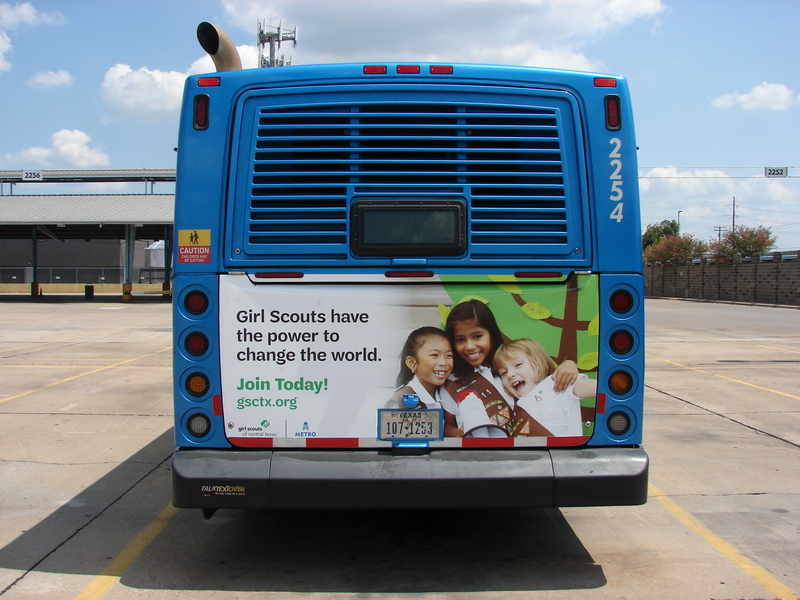 Animated GIF created for the Girl Scout S’mores anniversary. Logo & Patch design for one of the most popular events for the Girl Scouts. 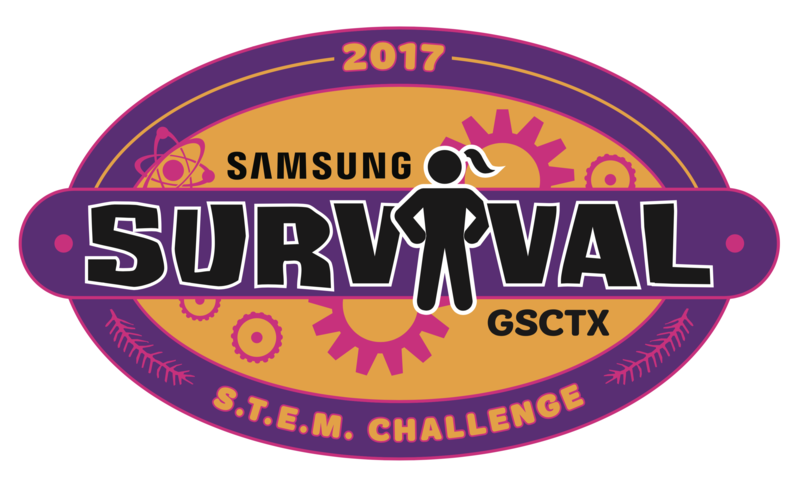 This year’s theme was a play on the TV show, SURVIVOR, teaching the girls how to use elements to survive in nature. 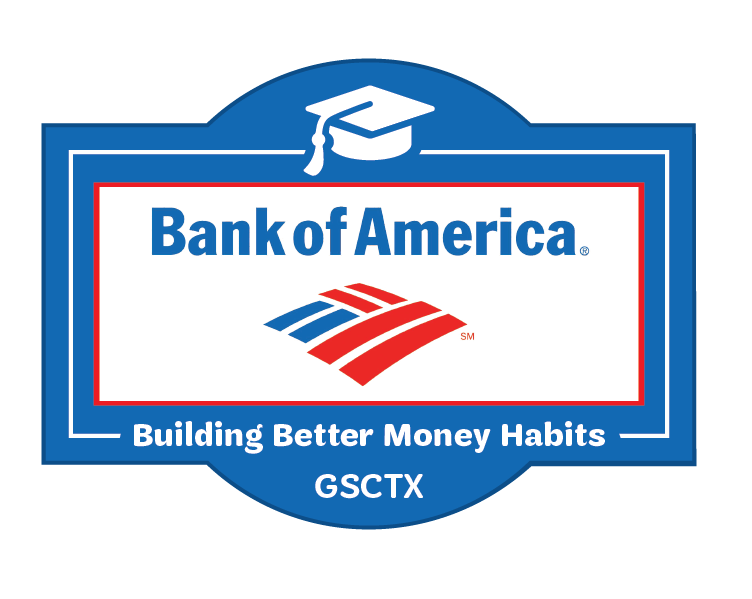 Partner Patch design for Bank of America’s Patch Program on Career Readiness. 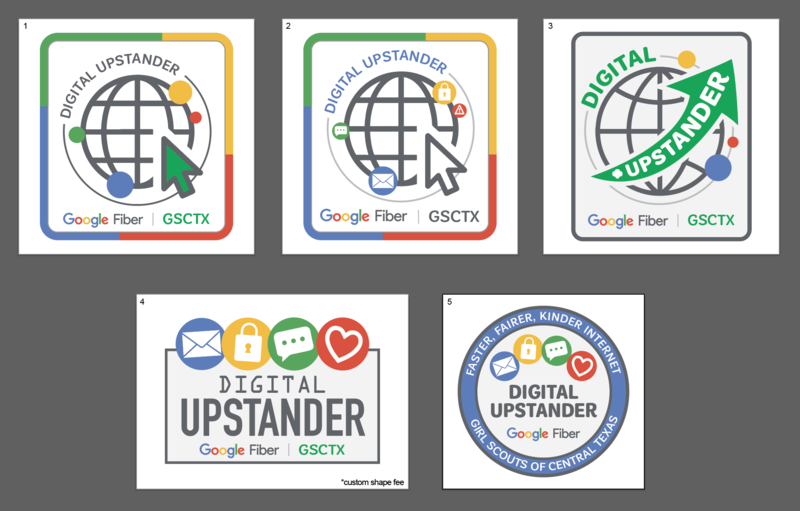 Drafts completed for a Partnership Patch Program with Google Fiber. 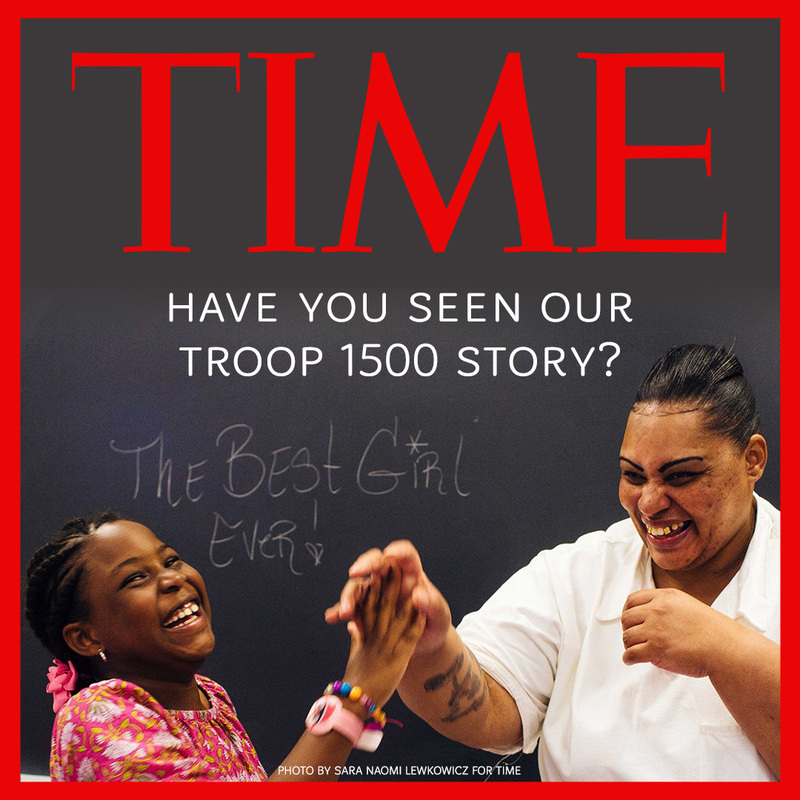 One of our Girl Scout Troops (Girl Scouts Beyond Bars) was featured by TIME Magazine! I had a lot of fun working with their photography assets. 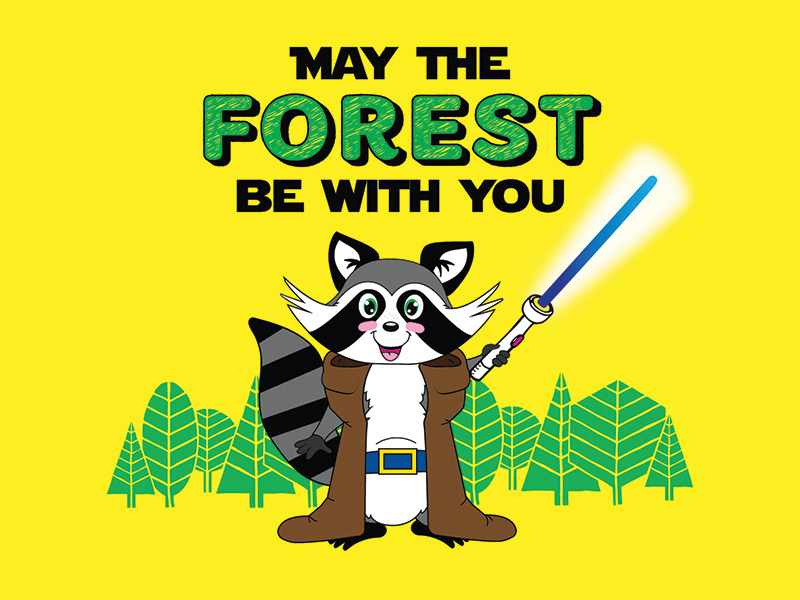 T-shirt artwork for Girl Scout Camp 2018. Every camper will receive one of these as they register. 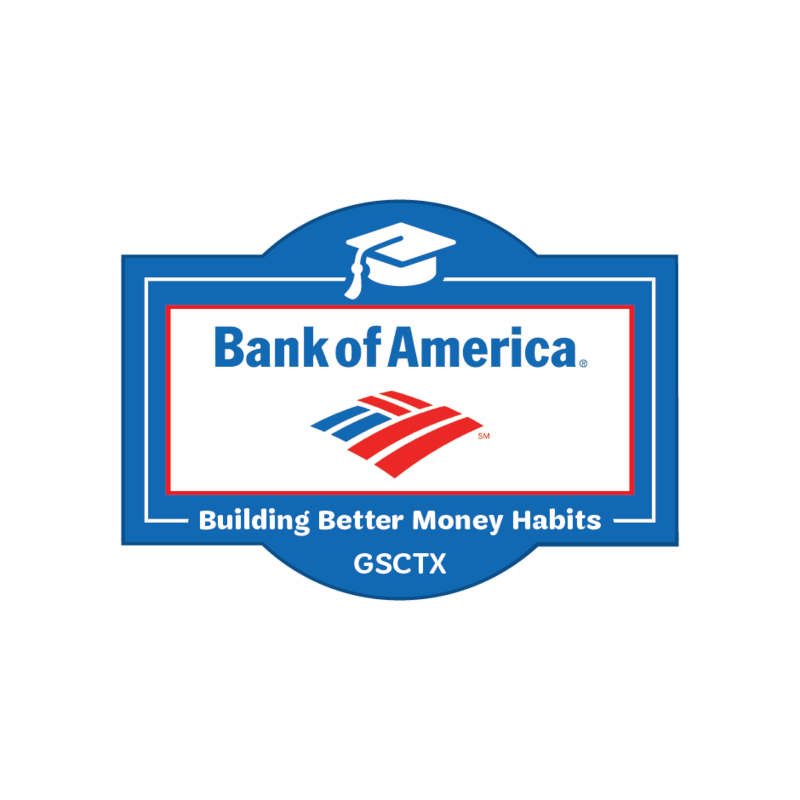 Logo artwork for a Middle School Camp in the DFW area. 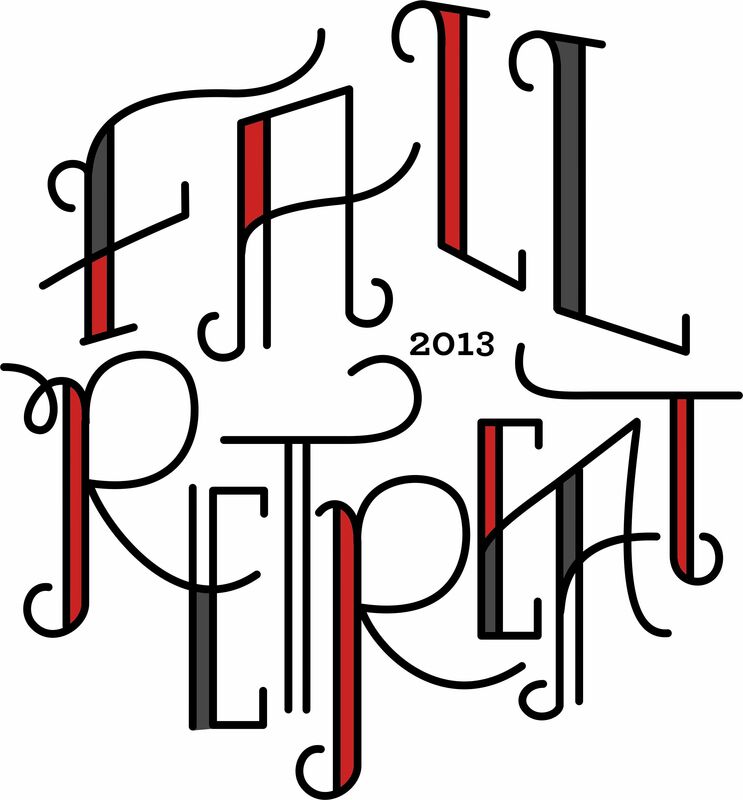 T-Shirt Artwork for a Retreat! Bits & pieces that don’t really belong anywhere else.